Who doesn't love wearing red lips? They just make me feel a certain way - fierce! 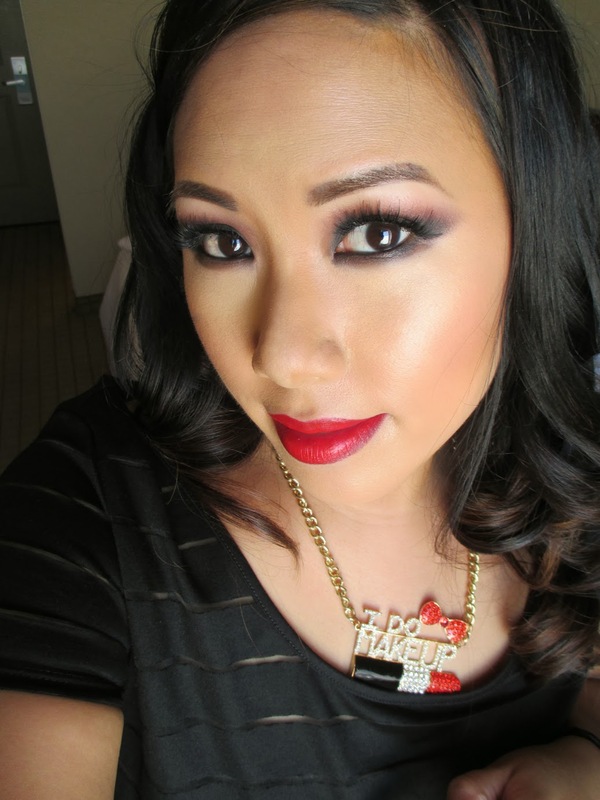 Today I'm sharing a FOTD that I wore for the second day of IMATS LA. Check it out! I knew that I was going to wear all black and my "I Do Makeup" Necklace. The necklace from Elessa Jade has a red lipstick accent so I though, why not coordinate! I first lined my lips with a burgundy NYX liner. 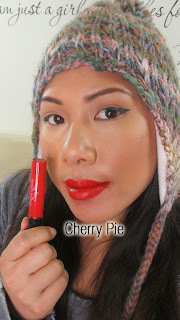 Then I applied Alcone's Enduring Lip Color in Cherry Pie. I love this super bright red. 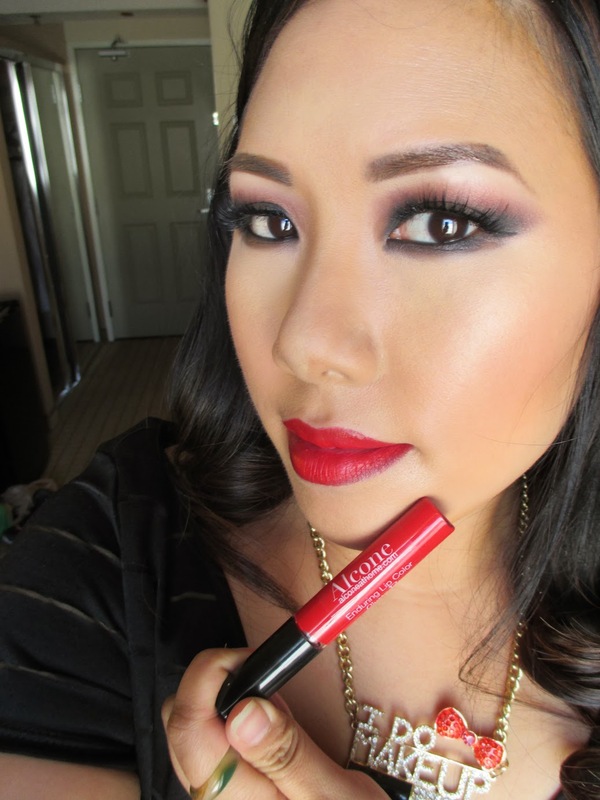 It applies like a matte, red liquid lipstick and lasts all day. I just think it's gorgeous. It's actually a dupe for Lime Crime's famous Velveteen Liquid Lipstick and it's a bit cheaper too! 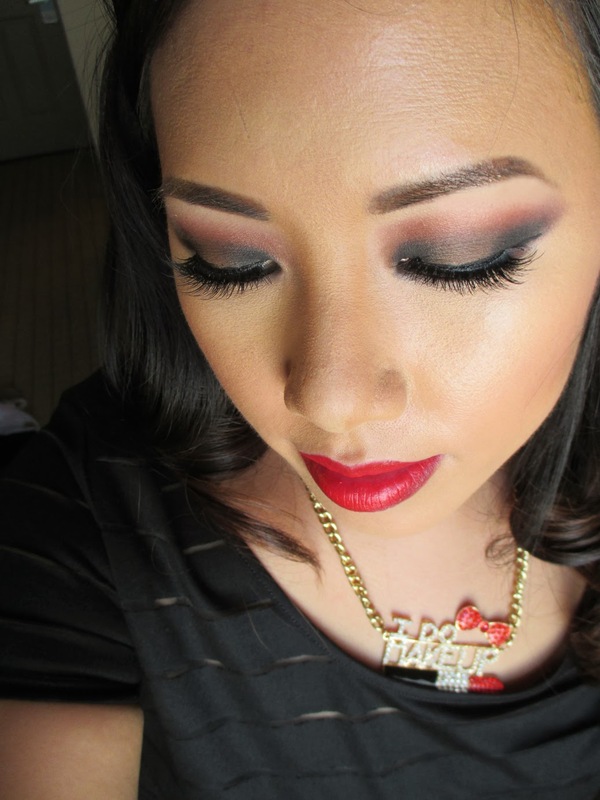 For the eyes, I used Alcone's Perfect Eyeshadows in shades #9 #16 #7 and #2 to give a neutral smokey eye. These shadows are among the most pigmented in my collection. They never fail in giving tons of drama. I just throw the pans in my magnetic palette for these trade shows and I'm good to go!